Home / Gift Baskets / Tasty Treats! Our elegant presentation of tasty treats is a welcome present for a friend, business associate for loved one. 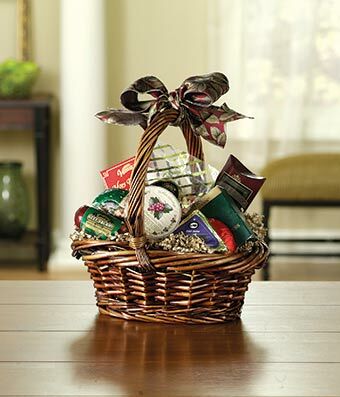 Filled with gourmet cheeses, crackers, sausages, nuts and more, this classic basket is decorated with a lovely ribbon for an extra special touch. Measures approximately 14"H x 12"W x 8"D.